Joy is not the same as happiness. Happiness is a response to the things that are happening to you or around you. Joy is what’s coming from inside you because of your attitude towards life. I’m generally a happy person, except when I’m serious (which is honestly quite often). But I’ve got my share of troubling situations. There’s a lot that I’m not happy about. But I’ve always got joy. I know the story’s not over after one chapter. I know things will work out in the end so if they haven’t worked out yet, it’s because it’s not yet the end. I know if there was sunshine all the time, we’d live in a desert and nothing grows in the desert. So do I want joy or happiness? Honestly, I want both. I want good things to happen so I can be happy. But because I know not only good things will happen, I want joy so I can get to the next good thing still with a song in my heart. Today, my word is JOY. I’m writing it on my to-do list, I’m doodling it in my notebook, I’m visiualizing a glittery printout of the word JOY on my bedroom wall so it’s always in my mind. Thanks for sharing, Joy. It’s a great word but I imagine it’s an even better name. I bet you can’t help having joy if your name is Joy or Joyce. Amen! Big difference! Choosing to be joyful is a choice. We are so fixated on happiness when happiness comes from a temporary place. Joy and contentment can carry you through any situation in life. Awesome word choice, my friend. 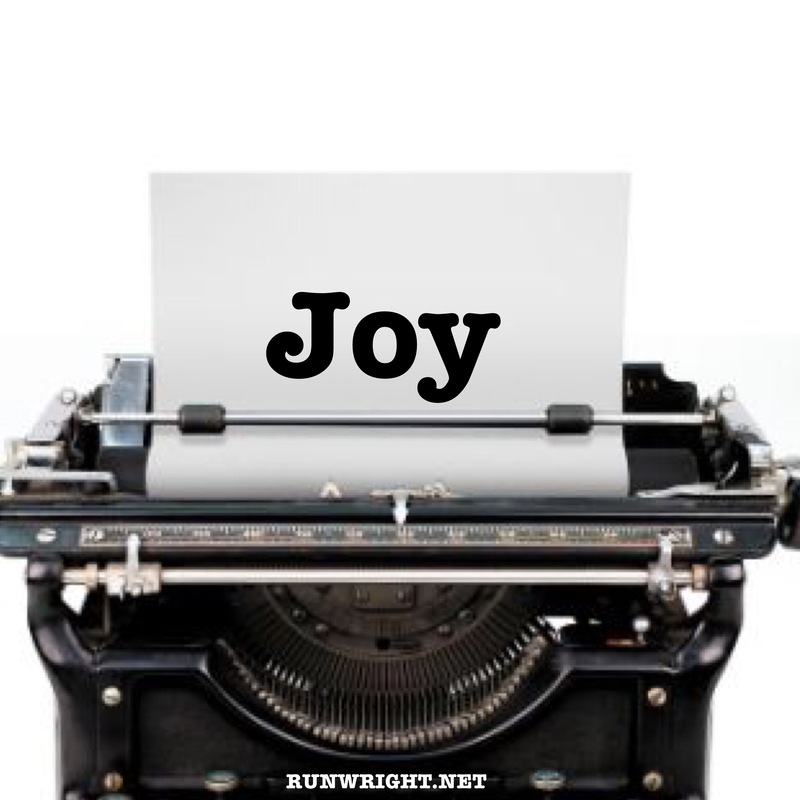 I love that distinction – joy vs. happiness. I never really thought of them as different before, but after reading your description, I totally get it. I’d like a little more of both in my life! 🙂 Thanks for always sharing such insightful words. Thanks for reading, Mia. I hope you experience real joy this week. Yes. Great name! I hope you have a great week ahead, Meeks.